Spend time with the people you love. Do things together as a family that you love to do. Decorate the house, play games, listen to holiday music, or watch a favorite holiday movie together like “White Christmas”, “Love Actually”, “The Holiday” or “A Christmas Story”. If you don’t own them check them out free from your local library or tape them on your DVR for playback at your convenience. Savor your conversations with friends and family. Look for opportunities to sit and talk with neighbors and family, especially people you don’t see much of throughout the year. REMEMBER - SLOW DOWN. Share your time or money. Acts of kindness not only help others, they change your soul. Volunteer and help feed the homeless at a place like the Dorothy Day Center. “Adopt” an older person who’s alone during the holidays or invite family to contribute to a charity like the “Heifer International”. 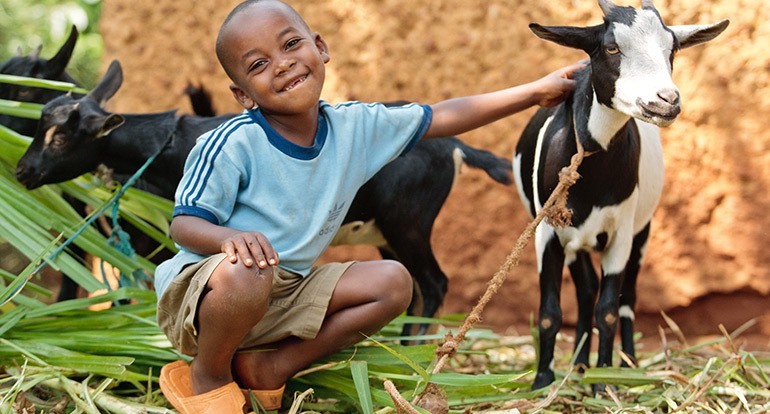 Together you could buy a flock of chickens, or even a goat for a family in Africa. 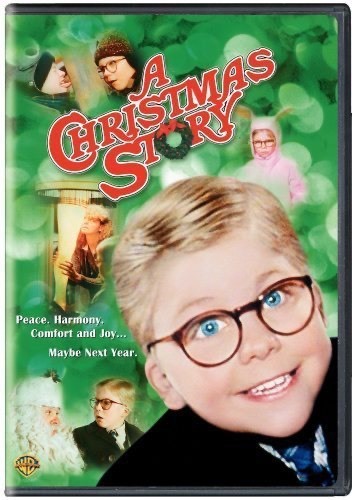 If you do not already own them, go to the library and check out a dozen or more children’s classic Christmas books such as The Polar Express by Chris Van Alsburg, How the Grinch Stole Christmas by Dr. Seuss, Rudolph the Red-Nosed Reindeer by Rick Bunsen, and The Berenstain Bears and the Joy of Giving by Jan Berenstain. For a list of additional titles check out Top So Kind Holiday Books for Children. Read a new one to your children each night before they go to bead. You and your children will enjoy the stories anew! 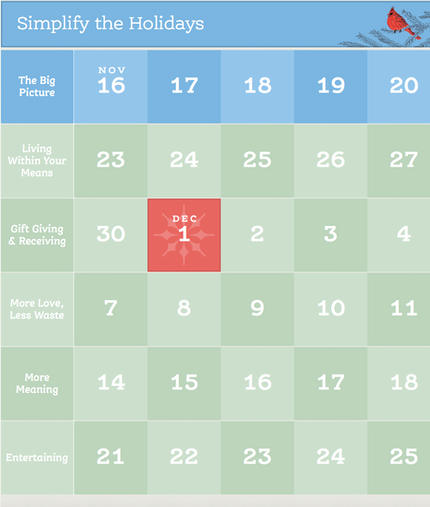 Go to the simplifyholidays.org and take their pledge: “This holiday season, I pledge to focus on more of what matters and less of what doesn’t: More love and less waste…More fun and less stuff… More joy and less stress.” Check off 3 or more options specifically designed to help you follow this pledge. 48. DOWNLOAD THE “SIMPLIFY THE HOLIDAYS CALENDAR"
A wonderful resource for families is the Simplify the Holidays Calendar from The Center for a New American Dream. Each week has a theme like “Living Within Your Means” and More Love, Less Waste”. Within each week’s theme you will find specific suggestions like “curbing the gimmies” and “staying on a budget”. It is free, just download it. Everyone is inundated with catalogs and junk mail especially during the holiday season. They are trying to sell you things! One helpful idea is to stop the junk mail before it even arrives. Simplify Your Life and Stop the Junk Mail for Good.